LOUISVILLE, Ky., Aug. 30, 2018 /PRNewswire-PRWeb/ — For the second year in a row, Louisville’s fast growing specialty vacuum truck rentals provider, Vac2Go, LLC has made the Inc. 5000 List awarded to the fastest-growing private companies in America. Out of the nearly seven million private enterprises moving the economy forward every day, only a tiny fraction have demonstrated such remarkably consistent high growth. This year, Vac2Go rose to the 2,048th position on the list, up from 2,757th in last year’s poll. In 2017, Vac2Go grew top line revenue by over 78.3 % over 2016, and grew its vac-truck accessories line by over 101.7% in the same period. In addition, Vac2Go has grown 669.28% over the last five years. Having recently opened it’s fourth location in Canton, Ohio, Vac2Go’s currently employs more than 20 professionals with decades of combined experience in the vacuum truck, pressure washer and industrial service arenas. 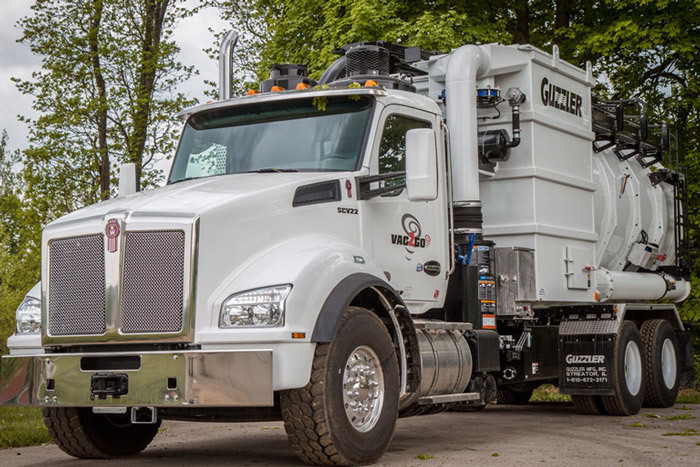 The firm currently features a varied roster of branded vacuum and hydro-excavation vehicles, including those of Super Products, Vactor Manufacturing, GapVax and Keith Huber. In addition to offering multiple vacuum truck brands, Vac2Go also enjoys an exclusive rental service partnership with NLB Corporation, a leading global manufacturer and provider of water jetting pumps, systems and accessories for a variety of industrial end markets, including chemical processing, oil and gas, construction and road/infrastructure. Headquartered in Wixom, Michigan, NLB has sales and service offices throughout the United Statesand in Poland. The company is part of the Interpump Group, the world’s largest manufacturer of high and ultra-high pressure plunger pumps. Also adding to its rapid growth was Vac2Go’s 2017 launch of its separate e-commerce site, The VacTruck Store in April of 2017. The company is stocking a full line of heavy duty “Schedule 40” items and vacuum truck accessories available for quick-turn delivery. The VacTruck Store’s product line includes replacement filter bags, cages, hoses, reducers, cam and groove fittings plus custom made parts. CEO Tallon remarked that the new e-commerce site marks an extension of the Company’s brand promise, “Integrity, Quality and Choice – that’s the Vac2Go brand!” Tallon said. Vac2Go, LLC, headquartered in Louisville, Kentucky with additional offices in Rock Hill, South Carolina and Memphis, Tennessee, specializes in renting, equipping, and servicing vacuum trucks to customers and contractors across the United States seeking vacuum, liquid vacuum, hydro-excavation, and water blasting units, equipment and accessories. For more information on the company’s achievements and experience, services provided and key leadership, please visit the web site at: https://www.vac2go.com.